Two of China’s largest e-commerce companies, Alibaba and JD.com, have been making plays over the last several years to develop the infrastructure on which the future of Chinese retail will run. 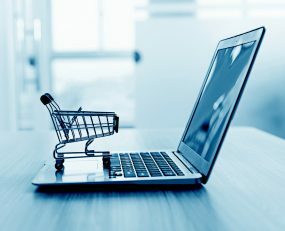 Both are driving hard at the development of systems and technologies which erase the divide between online and offline retail and cascade innovation and rapid change throughout retail in China, as well as throughout the logistics systems which support it. To say that both companies are pursuing rapid change at vast scale would undersell the breadth, depth and sophistication of what both are undertaking. Amongst Alibaba’s efforts is its Ling Shou Tong programme, which aims to modernise ‘mom-and-pop’ convenience stores across China. Alibaba claims to have more than one million such stores in the programme which brings inventory management, restocking, logistics and customer analytics into Alibaba’s Tmall environment. Operated via an app, the inventory management system lets each store know how much of which products to order and when. Fast moving goods are despatched next day from city-specific warehouses, while regional warehouses guarantee two-day delivery for slower moving goods. Crucially, the programme ties the stories into Alibaba’s central warehousing and logistics system, locking the store into Alibaba’s environment and infrastructure. Alibaba’s Cainiao network is key to the infrastructure on which more than one million independent retailers now rely. Its logistics data platform also provides real-time data to help LSPs improve the efficiency of inventory management and optimise delivery routes. That Alibaba relies on delivery partners rather than owned assets and operations to effect its logistics operations, though, is a major point of departure in the infrastructure strategy from rival JD.com. JD’s ownership of its logistics network and operation brings it closer to the centre of its own infrastructure plans, through which it plans to implement its ‘retail as a service’ vision. Process and cost efficiency, as well as a culture of rapid innovation, guide the development of JD.com’s logistics network which spans 300 warehouses and 65,000 delivery employees. One current thrust in logistics innovation are plans for a network of ‘dark warehouses’. These unmanned, automated fulfilment centres are beginning to come online. Announced in October 2017 and believed to be in operation now, one such dark warehouse occupies 40,000 sq m in Shanghai’s Jaiding District. The facility has the capacity to fulfil 200,000 orders per day and is operated by a combination of robotics and other automated technologies, which can self-calculate how to avoid collisions and optimise routes. The facility has just four human employees. Such automation, though, comes with restraints – the facility can only handle certain types of goods, uniform in size, shape and weight, as its Delta robotic picking arms cannot lift packages heavier than 3 kg. Clearly, these examples of Alibaba and JD.com’s plays to develop new retail infrastructure do not sum to the total of their efforts, but they are instructive of a number of pillars on which the efforts are built. At a strategic level the plans are to create something no one else has, which is defensible and the advantages of which no one else can match. In implementing these plans, both are leveraging their position as marketplace operators to offer a range of services to retailers, from advertising and marketing tools to payment systems, cloud computing, media and entertainment properties and logistics. For both Alibaba and JD.com, these are effective, plug and play, digitalised retail solutions. Alibaba’s Ling Shou Tong solution, for example, can cost less than $10,000 to install and requires ongoing costs that can come in at under $1,000 per year, with no revenue share. This is not to say that running a retail operation on Alibaba or JD.com’s infrastructure isn’t without its challenges. Some retailers, for example, are reporting manipulation of traffic and search results for their products and store fronts should they not play by the rules. Increasingly, it appears as though retailers have the choice to be a part of only one branded universe. Perhaps the bigger picture here, though, is not only the wider play to prepare China and its retail and logistics sectors for a tech-powered future, but also the significantly different future of all retail these developments hint at. In sum, the infrastructure spans sourcing and procurement, payments, inventory management, logistics and a wide array of technologies, including AI, facial recognition and augmented reality, while at the same time ultimately aiming to remove the distinction between online and offline retail. It also points to a more interconnected future. Amongst JD.com’s investors are Google (<1% equity), Walmart (≈11%) and Tencent (≈20%), while Google also has a partnership with Alibaba. Talking of its $550m investment in JD.com this week, Google’s Philipp Schindler said the companies would “explore new solutions for retail ecosystems around the world to…give consumers the power to shop wherever and however they want.” That capability, as JD.com and Alibaba are demonstrating, requires a whole new logistics infrastructure.